Providing a comfortable, safe and healthy indoor environment is an increasingly important concern. Good air quality increases concentration and productivity. It can also reduce lost days due to absence. 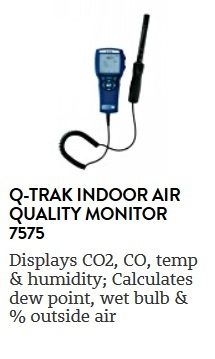 TSI's Q-TRAK™ Indoor Air Quality Monitor 7575 provides quick, accurate information to assess key indoor air quality (IAQ) parameters.